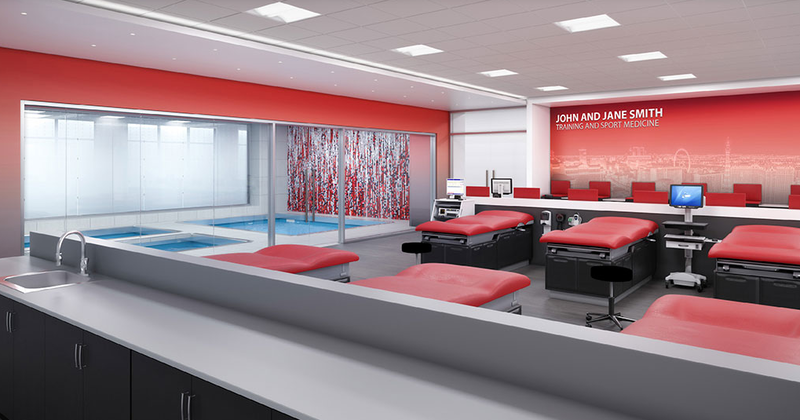 The days that Bishop Gorman High School can say it has a better football training facility than UNLV are about to come to an end. Equal maybe. But not better. 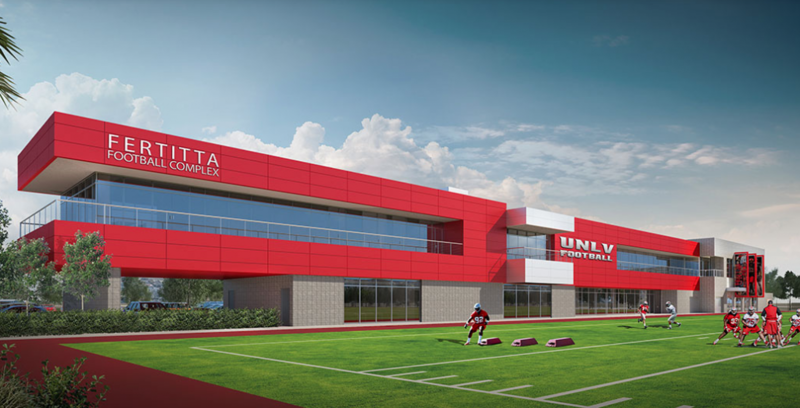 Thanks to an UNLV athletic department record $10 million donation from Frank and Lorenzo Fertitta, the school is expected to break ground in the spring on a long overdue state-of-the-art football training facility which will be called the Fertitta Football Complex. 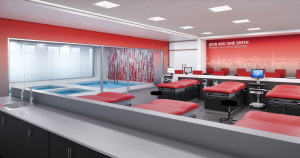 The naming rights announcement on Tuesday means more than $16 million has been pledged toward the project that is expected to take about 10 months to build and cost between $24-26 million. Check out this nifty video below of what the new Fertitta Football Complex will look like. 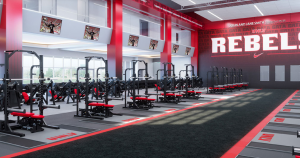 Second-year UNLV head football coach Tony Sanchez, who knows first hand what a top-notch training center can do for a program from his days at two-time national high school champion Bishop Gorman, called the addition of the training complex “a game-changer” for Rebel football which has lagged behind many other Mountain West Conference schools when it has come to upgrading its facilities. 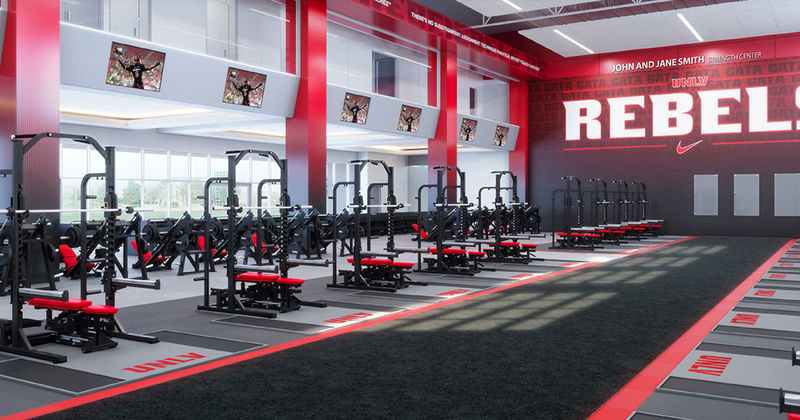 The 73,000 square foot complex will be on the north end of the team’s practice fields in Rebel Park just south of Wilson Stadium. 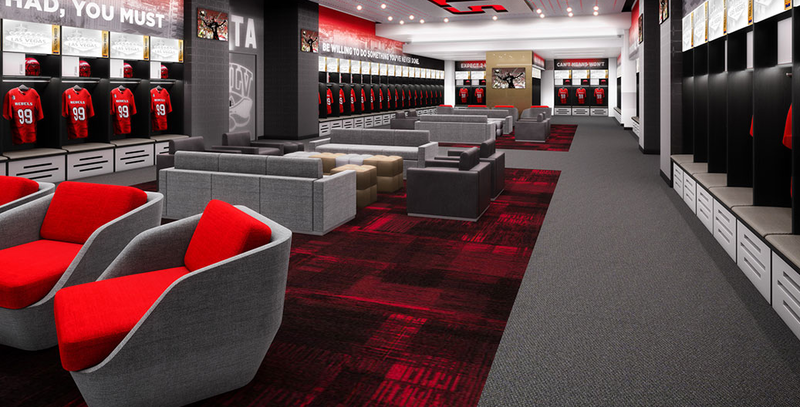 It will include an academic center, locker rooms, offices, meeting rooms, a strength and conditioning center, media room, training table and nutrition bar, athletic training center and a player lounge.